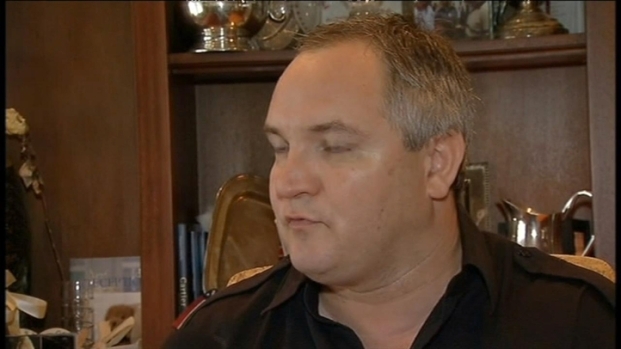 Alleged White House party crasher Tareq Salahi said Wednesday he believed his wife, Michaele, was kidnapped Tuesday, but authorities said they've confirmed that she is safe in Tennessee. Wednesday evening, TMZ and E! News reported she was on tour with the rock band Journey, which plays Memphis Wednesday night. The FBI later confirmed that Michaele was safe in Memphis, according to David Silek, an attorney for the Salahis. TMZ cited Journey's rep in reporting that Salahi ran off with Neal Schon, the band's cofounder and lead guitarist, of her own accord. Tareq said the couple had been getting along well. Neither he nor Silek commented on the TMZ report about Schon. 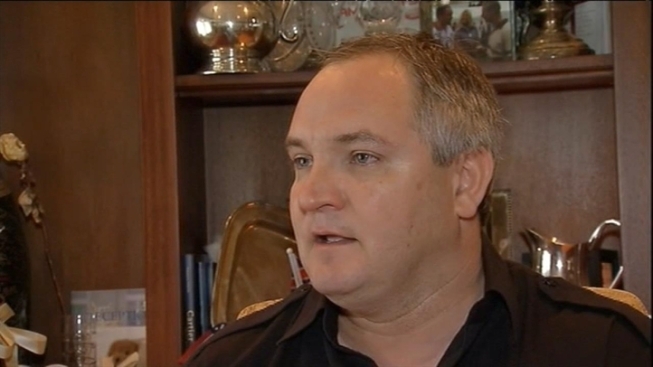 A tearful Tareq Salahi talks to Chris Gordon about his missing wife. "Mr. Salahi is understandably upset," Silek said. Silek, told ABC's "Good Morning America" on Thursday that it's premature to say if the couple would get a divorce. Three investigators -- two from the Warren County Sheriff's Office and one from the FBI -- went to the Salahis' Front Royal, Va., home late Wednesday afternoon. Tareq insisted this is not a publicity stunt. “I swear to God, I’m missing my wife and I just want to … this is not a joke,” he said. Tareq last saw his wife at about 11 a.m. Tuesday when he left home for their winery. Michaele then missed a hair appointment and a dance practice, her husband told News4. Michaele called from a phone registered in Oregon about 7 p.m. to say she was fine and that she was going to her mother’s, but her mother hasn’t heard from her, Tareq said. Tareq called the sheriff’s office just before midnight. A few moments later, a deputy spoke to Michaele, who seemed calm and assured the deputy she had left their residence with a good friend and was where she wanted to be, according to the sheriff's office. She said she did not want her husband to know where she was. “I think she’s being forced by whatever this Oregon phone number is, I think she’s being forced to say, ‘I’m OK,'" Tareq said. Michaele’s received death threats in the past, Tareq said, and the couple has filed reports with the sheriff’s office, as well as authorities in Los Angeles. The Salahis first gained national attention when they showed up arm-in-arm but without an invite to a White House state dinner when they were being filmed for “Real Housewives of D.C.” in 2009.